If you have excess heat, you can sell it to us and we’ll heat Stockholm together. Companies and businesses with excess heat that are located adjacent to our heating or cooling networks can sell energy to us at market prices, thereby using energy that would otherwise go to waste. Data centers are home to large numbers of servers that generate heat and therefore need to be cooled. Typically, this is done with cooling units, and the cooled excess heat is then transported to a cooling tower and removed by fans. 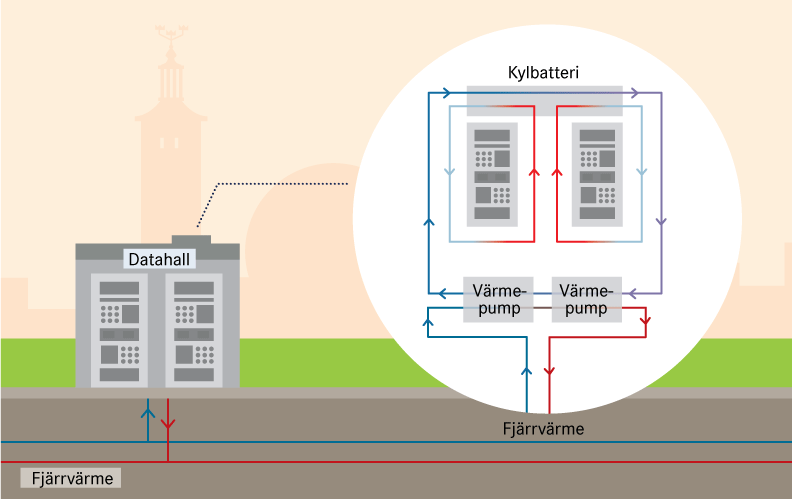 By instead cooling data centers with the help of one or more heat pumps, excess heat can be delivered to the district heating network and used to heat the city instead of being released. The key starting point with heat recovery from grocery stores is, apart from improved profitability, the societal benefit that is generated by using energy that would otherwise go to waste. 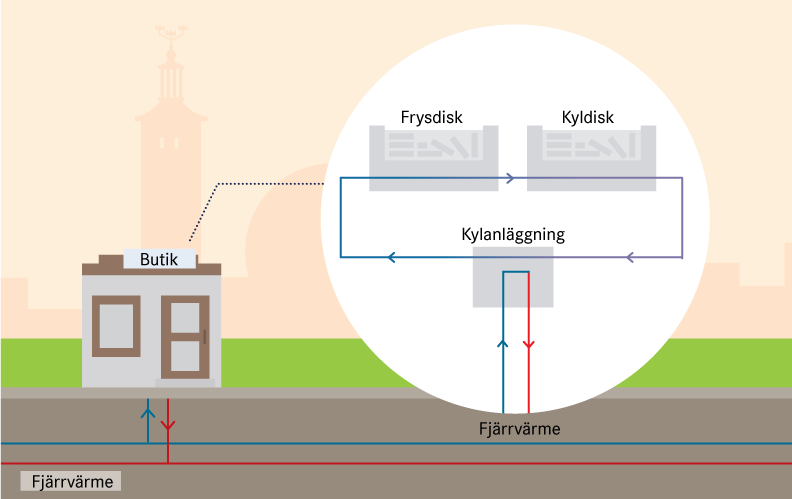 Modern systems for cooling stores’ chilled and frozen sections can be directly connected to district heating and cooling networks so that all excess heat is recycled.